I give Remington props for this advertisement. Being the first to cross the North Pole is certainly noteworthy. 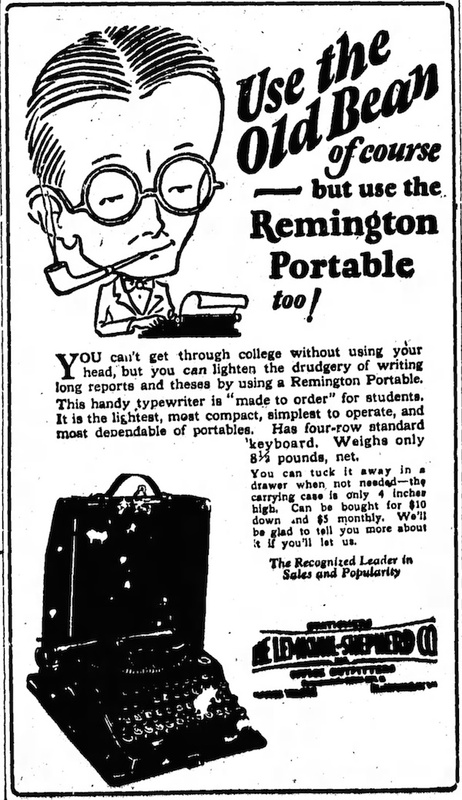 And while I grant that the Remington Portable is a rugged machine, it is a hunk of metal after all. From The Daily Notes (Canonsburg, Pennsylvania), Jun 1, 1926. A Remington, the Old Bean, and a bit of Jim Beam will get you through. (OK, I added the last part.) From Bluefield Daily Telegraph (Bluefield, West Virginia), Sep 3, 1926. 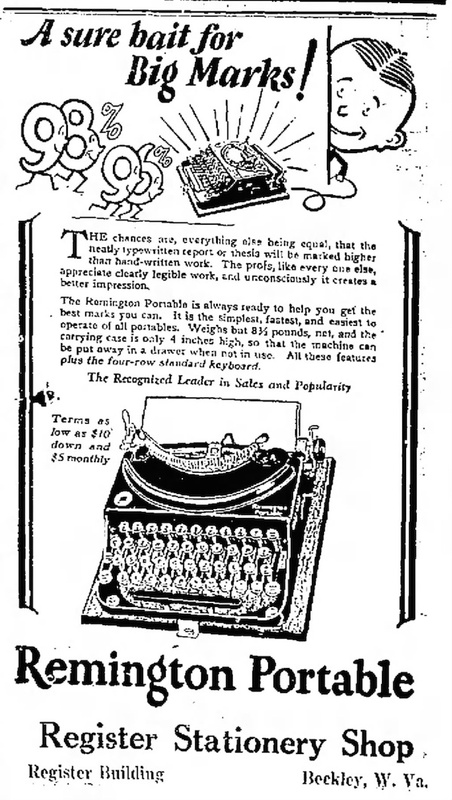 I can see the copywriter, now, thumbing through his copy of 1,001 Jobs in America. The conversation with his boss ran something like this, “How many inches? 8? Yes, I can do that.” What professions would you have added to the list? After all, let’s be complete. From The Winnipeg Tribune (Winnipeg, Manitoba, Canada), April 15, 1926.